The regional schools commissioner first pushed to remove schools from Wakefield City Academies trust in December 2016, though it took nine more months before any official announcements were made, Schools Week can exclusively reveal. A report from a WCAT board meeting on December 14, 2016, obtained by Freedom of Information requests, shows that Jennifer Bexon-Smith, then the RSC for East Midlands and the Humber, was already in the process of deciding which of WCAT’s schools should be passed to another sponsor. The report included a diagram showing plans for the staggered rebrokering of 10 of the trusts’ academies. 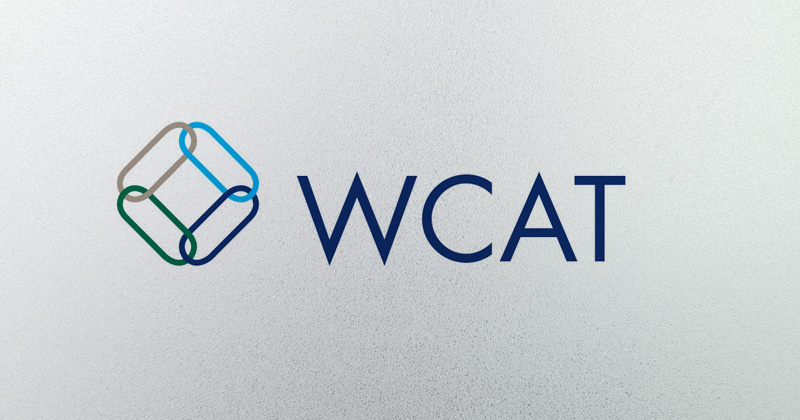 However, it wasn’t until September 8 this year that WCAT released a statement saying it had asked the Department for Education to “place [all] our academies with new sponsors”. The trust said that after “a robust period of review and evaluation of all aspects of the organisation”, it “does not have the capacity to facilitate the rapid improvement our academies need and our students deserve”. Schools Week approached WCAT but the trust declined to comment. 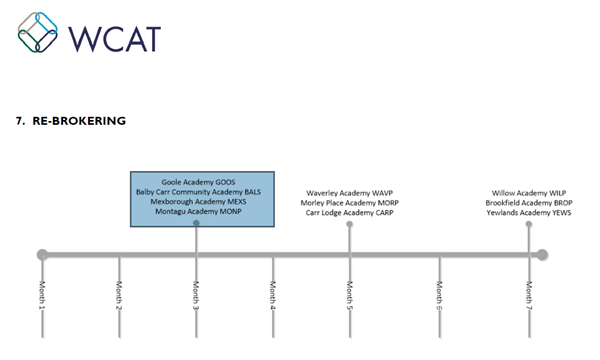 The January 2017 report includes a diagram showing the 10 academies the trust expected to pass on to other sponsors. The list includes Goole Academy in Hull and Montagu Academy in Mexborough, South Yorkshire. “It is our understanding that the financial position of each academy transfers to the new sponsor whether this is a surplus or deficit position,” the report said. By March 8, 2017, however, the situation had escalated further. Ramsay wrote in this board meeting report that “the trust should rebrand”, that he would not be applying for “the substantive CEO post”, and that “if the RSCs had the evidence to support a breakup this is the route they would focus on”. He also quoted “the RSCs” as saying that “even the best trusts in the country would find it hard to improve all your academies”. It is not known when the decision was made to change from having 10 academies rebrokered to all academies. Questions also remain over the funding that WCAT received as one of the flagship “northern powerhouse” groups given £530,000 by the Department for Education a year earlier in December 2015. The grants were awarded to “drive up standards” in the north and were only handed to “top-performing” trusts. In March 2017 Schools Week reported the trust had opened three schools, but walked away from two others. At the time, the trust said the money would be used to drive “sustainable improvement”. Justine Greening sidestepped questions in Parliament on the handling of the northern hub funding during education questions last month, and instead praised the government’s “swift action” to complete the rebrokering. However, the documents suggest the process has been in planning for longer than previously known.